We're into our third heatwave of the summer here in NYC and I am reminded how badly I wish I could throw on a bathing suit and jump around in the ocean right now. While I have never really been a sun-worshipper, being blessed with a more olive-y complexion means I rarely burn and admittedly, I have been less than diligent about remembering to wear sunscreen over the years. While I wouldn't exactly call getting cancer "lucky," it's definitely served as a wake-up call to revamp other areas of my health and beauty regime. While every dermatologist will tell you that once you've gotten a sunburn the damage to your skin has already been done, you still need to take every possible precaution to prevent yourself from ever getting burned again. According to the Skin Cancer Foundation, 90 percent of all non-melanoma skin cancers are caused by exposure to ultraviolet radiation from the sun. Skin cancer is the most common form of cancer in the U.S. and more than 3.5 million cases are newly diagnosed each year. 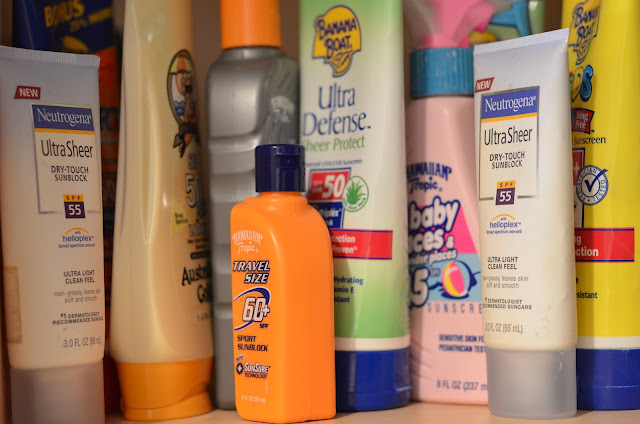 Now, for the first time in 30 years, the FDA has overhauled it's sunscreen regulations which all manufacturers must comply with by December, 2012. The new laws will help the consumer navigate the convoluted product maze created by unregulated testing, complicated labeling, and fancy marketing techniques. Broad Spectrum: SPF refers only to UVB rays but research now shows that UVA rays can be just as damaging and are thought to be a leading cause in premature skin aging. The new laws will eventually require manufacturers to use a star-rating system of 1 to 5 to indicate their UVA protection level. Prior to this, the term "broad spectrum" was commonly presumed to indicate protection against both UVA and UVB rays. However, since there were no standards regulating this, many manufacturers labeled their product as "broad spectrum" while adding very little UVA-blocking ingredients. Now the FDA requires any sunscreen to be labeled as such to have an SPF of 15 or higher and the ingredients need to pass certain tests to prove their blocking capabilities. SPF: Only sunscreens with an SPF of 15 or higher will be allowed to claim that they help prevent sunburn and reduce the risk of skin cancer. Furthermore, the FDA is working on a law which would set a cap on sunscreen protection at SPF 50. Any brand claiming to offer superior protection at SPF 80 or SPF 100 for example, would no longer be allowed. In fact, the FDA says there is no data supporting the assertion that an SPF higher than 50 is any more effective. My very close friend, a noted dermatologist here in NYC, often reminds me that the key to sun protection is to constantly reapply; not necessarily to wear SPF 100 and forget about it. Water-resistant: Terms like "water-proof" and "sweat-resistant" will no longer be allowed. Period. Not only are these terms misleading to a consumer, they are technically impossible. The key to staying protected post-swim or during sport is to re-apply. Application: The new laws will prohibit any brand from making the claim that protection is immediate upon application or can last for longer than 2 hours without submitting research and getting approval from the FDA. Sprays: The FDA has requested further research to determine if sprays are not only as effective as more traditional types of sunscreens but also if they can actually cause harm when inhaled. Unfortunately there is no deadline for these tests to be concluded and in the meantime, you the consumer, may be exposing yourself to additional, unnecessary risk. There are so many products on the market, its both logical and feasible to avoid the unknown and opt for something else. Make-up: Skin creams and other cosmetics that claim to have an added SPF benefit will now be held to the same FDA testing requirements and guidelines as any other sunscreen product. This means your favorite brands might have to change their formulas in order to be compliant otherwise they will have to add special skin cancer and skin aging warnings to alert the consumer that the product's protection is limited. 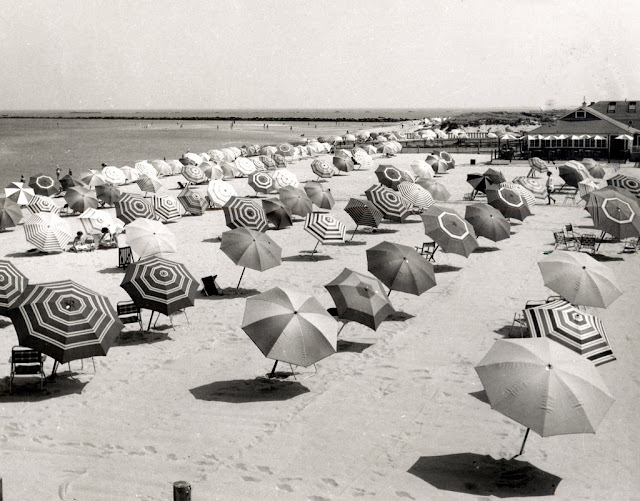 After all you've gone through, you deserve a little fun in the sun...just make sure you're wearing sunscreen and sitting under a beach umbrella! you have good recs that I should pass along. Thanks, Cool Girl!